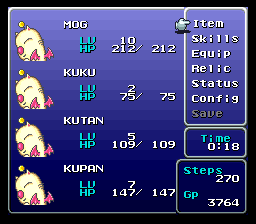 Natural Ability Extension modifies a few aspects of the natural ability learning functions in FF6. Its primary function is to give Relm her own natural magic list that she will learn at recruitment/on level up. 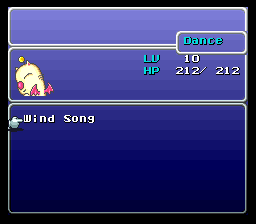 It teaches one dance (Wind Song) at the start of the game, making it available to Mog when he’s first recruited (or, in fact, any character to whom you give the Dance ability, if it’s otherwise hacked). 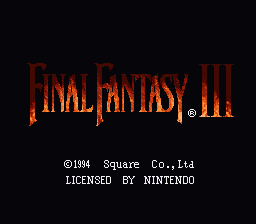 Additionally, it fixes a minor issue with Celes’ natural magic list that is only a problem in vanilla if she surpasses level 32 due to level averaging.